Hon. 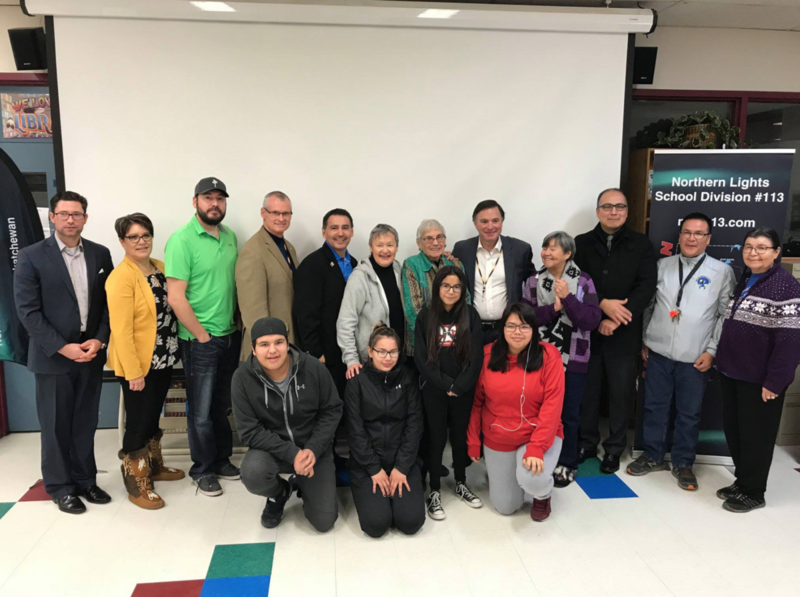 Gordon Wyant Q.C., Minister of Education, Rob Currie, Deputy Minister, and Thomas Sierzycki, Northern Education Advisor were in Hector Thiboutot School for some great dialogue with elders, community members, staff members and students. 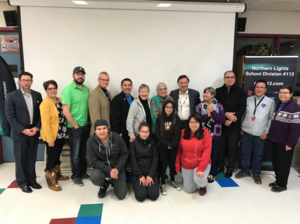 Harry A. Morin Jr., NLSD Board member had a wonderful presentation on the history of Sandy Bay and the importance of needing a new facility.